What Is Big Is Really Small. What Is Small Is Really Big. 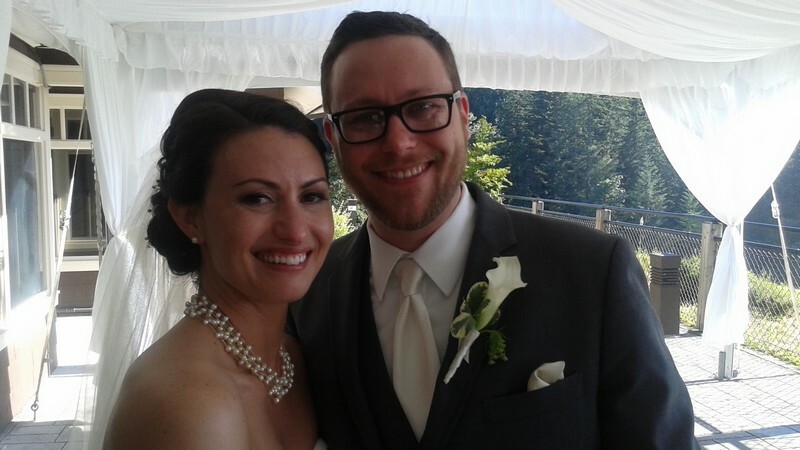 On Saturday evening, after months of planning from Illinois, this beautiful and very sweet couple was married at The Salish Lodge, surrounded by a small and mighty group of family and friends – all who travelled from far places to share in the happiness of this big day. With the sound of the roaring Falls behind them, Jeremy and Chontelle exchanged vows and rings under the canopy of The Hidden Terrace and then shared in an elegant dinner and evening celebration in the Cliffside Room. I love The Salish Lodge for a small or medium size group. Catering/Events Manager Erin Haldi and her staff go above and beyond each time for a couple and for Jeremy and Chontelle, no exceptions were made. Jeremy and Chontelle – wishing you so much happiness as you launch on your marriage adventure! Comments Off on What Is Big Is Really Small. What Is Small Is Really Big.